July 6th 2018 - ATLANTIS, Fla. – This week, Championship Tour Event #6 was held at Old Marsh Golf Club in Palm Beach Gardens, FL. Two familiar names captured victories this week on the demanding golf course. 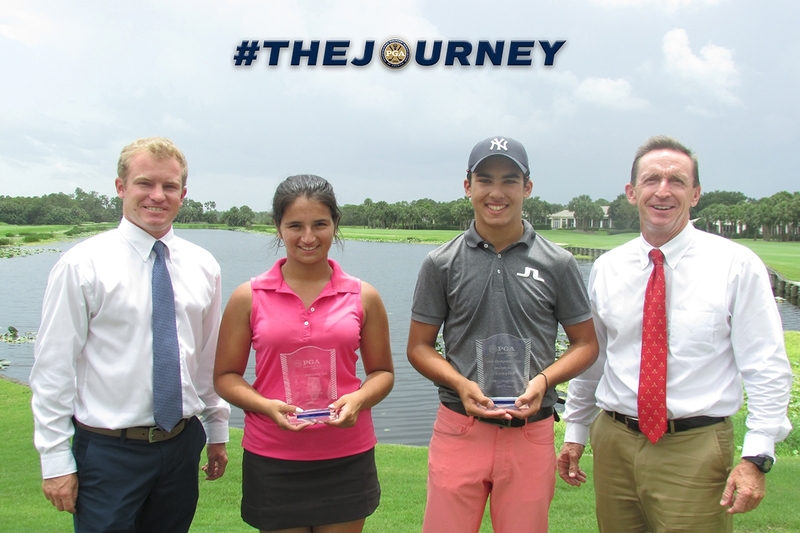 Fernando Castillo of Wellington, FL continued his hot streak coming off a victory at last weeks Nicklaus Junior Championship. Castillo fired an opening round 1-over par 73 to take a one stroke lead in the boys’ division. Castillo fired a final round 2-under par 70 to capture the boys’ division by four strokes. Zach Nohrenberg of Wellington took home the boys’ 13-15 age division, while Cade Coffey of Vero Beach captured the boys’ 16-18 age division. Laura Edmonds of Weston, FL went wire to wire to capture the girls’ title. Edmonds, who also captured the Nicklaus Junior Championship last week, fired rounds of 72-75 to capture the girls’ division title. Jennifer Lilly of Pembroke Pines took home the girls’ 13-15 age division, while Alena Lindh of Davie took home the girls’ 16-18 age division.